Expert videos on how family changes after a spinal cord injury. Learn coping strategies for families and how family relationships are affected after injury. What’s the first thing families dealing with a new spinal cord injury need to understand? How do families usually develop an understanding of a spinal cord injury and what it means? 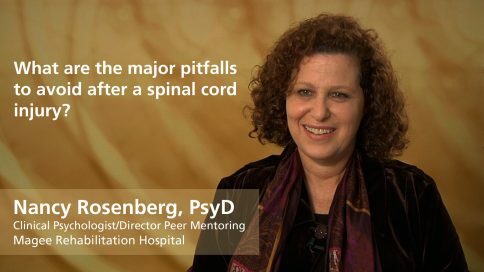 What are the major pitfalls to avoid after a spinal cord injury? How does the image of a family member change after a spinal cord injury? 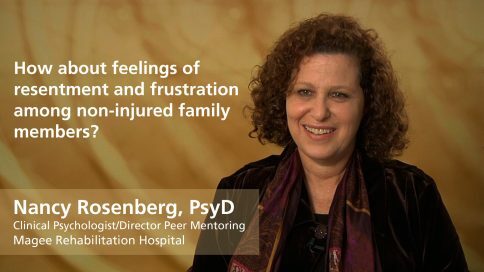 How about feelings of resentment and frustration among non-injured family members? How do sibling relationships change after a spinal cord injury? What about marriage after a spinal cord injury? How do relationships change in a marriage after a spinal cord injury? What is the effect of a spinal cord injury on the likelihood of divorce? How do family relationships change after an older person is injured? How do family relationships change when people in their 30’s-50’s are injured? How do family relationships change after a young person is injured? What is the single best piece of advice you have for creating good family relationships after a spinal cord injury?